Only candidates who sat for the 2014/2015 Unified Tertiary Matriculation Examination (UTME) with correct subject combination and have scored a minimum of 200 marks in the examination are eligible to take Post-UTME Screening Test. So, FUNAAB Post-UTME Cut-off Mark for 2014 is 200. Direct Entry Candidates who have applied to JAMB for admission into the Federal University of Agriculture, Abeokuta (FUNAAB) are ONLY invited to register on-line for admission to 200 and 300 Levels. They are exempted from Post-UTME Screening Test, but they must do online registration. 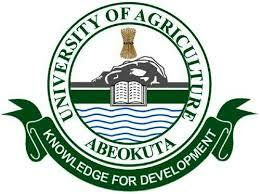 Eligible candidates are to access the Federal University of Agriculture, Abeokuta (FUNAAB) FUNAAB Admission Portal, click on “apply for admission” and enter their JAMB Number to generate and print their Registration Invoice stating their Reference Number and other information on payment of a non-refundable fee of One Thousand Naira (N1,000.00) and Bank Commission Three hundred (N300.00). Candidates should proceed to any of the listed banks (nationwide) on the print-out of the Registration Invoice and make payment of One Thousand Naira (N1,000.00) and Bank Commission Three hundred (N300.00) using the Reference Number. Ensure the bank posts the payment through the appropriate channel to reflect instantly on FUNNAB’s Admission Portal otherwise you will not be able to proceed with your application. After payment at the designated bank, candidates are to proceed to FUNAAB Admission Portal and complete the e-application form. The application opens on Tuesday, 8th July, 2014 and closes on Wednesday 30th July, 2014 (12noon). Candidates are required to upload their Bio-Data, O’ Level results and UTME result or OND/HND/NCE result (where applicable) and a recent coloured passport photograph (not more than 6 months old). On uploading of all required details, candidates are expected to first preview and confirm entries before clicking on Submit on the acknowledgement page. 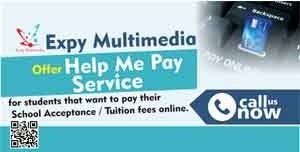 Candidates should thereafter print out the Application Form displaying your passport photograph and another invoice for portal access charge for UTME. Candidates should proceed to any of the listed banks (nationwide) on the print-out of the second Invoice and make payment of Two Thousand Naira (N2,000.00) and Bank Commission Three hundred (N300.00) using the Reference Number. Ensure the bank posts the payment through the appropriate channel to reflect instantly on FUNNAB’s Admission Portal otherwise you will not be able to proceed with your application and follow No. 3 steps. Correction of uploaded data attracts a correction fee of N1,000 as penalty and can be effected online. Click here for details. No complaint of wrong Bio-Data, O’ Level result, UTME/OND/HND/NCE result or blank picture will be entertained after Wednesday 30th July, 2014 (12noon). Candidates who up-load wrong Bio-Data, O’ Level results and UTME/OND/HND/NCE results will be automatically disqualified. The Post-UTME Screening is Computer Based. The Screening will hold on Wednesday, 31st July 2014. Candidates are to check the FUNAAB Admission Portal a week before the screening day to verify their venue and examination time. Candidates are advised to undertake the screening test ONLY ONCE. 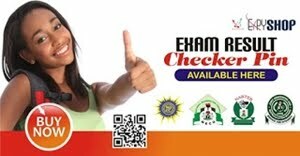 Get your JAMB Result Slip with passport on it for FUNAAB Post-UTME registration. Click Here to Apply!